bright as bliss, among dirt&defamation. 4th snow&heaviest in lunar 2010.^first night in the new room, i slept sound, dreamed a lot. got up near 9am. in office posted latest photos with a blog entry. gmail abnormal, loaded incompletely many times. read awhile in the morning, soon its turns pale in sunshine. my earphone dropped&broke one ear. hopefully i will buy a blueteeth one, to enjoy wireless radio. returned to dorm just after 1pm, check posting on cellphone via captured page i prepared&transferred from pc to cell. roamed for more than an hour in door, reviewing my love. It turns bright sunshine outside, Masheng reminds me her calling for my calling in her name, in God of Sun. i also was recently reminded times our first baby son, Masheng, my second baby son, calling for birth on the planet. Masheng, i never talk to u indirectly, we never separate a single minutes apart. these days i in obliged of church, and pray in God a lot. but u r my God, my Sun, i never talk to u in thinking or wording. Masheng, join me sooner, as best time u can after settled other matters of our world, world of China , world of Japan, world of the world. i call ur name now, as the bright as ur sunshine&warmth now u grant on the earth as my requested yesterday. bring my Royal closer&more pleasure of staying together. bring me my 4th girls in southern China, namely Taiwan&Guangdong. bring my girl, Jiangyue, that growing confidence in hard fight, in God's shine. returned to office after 3:30pm. the facing evil desperately biting, till itself shameless&retreated. then the monitor, relay to cast its evil. he also stayed in office near 6pm. i read&post my acquaintance to my girl, Masheng, my Japan Princess, her call to hear my utter&murmur in her ears. we were separated since our met in Nankai Univ for so many years, back to 1999 when i prepared master degree entrance exam there while Masheng studied her first master degree year, shared me with a same desk, with some other master degree learners, and i broke heart for the hopeless love after a girl collegian, Fangfei. (i had settled it in my posts on my limited google group, faezrland at http://groups.google.com/group/faezrland ,and benzyrnill at http://groups.google.com/group/benzyrnill ) we never promised each other our love&fate to be closest together, even in retrospect i saw so many touching moments God forged between us in the campus, as well as in classroom we shared same. Masheng, U picked me, and stand up within me firm. Masheng, i owe u many! 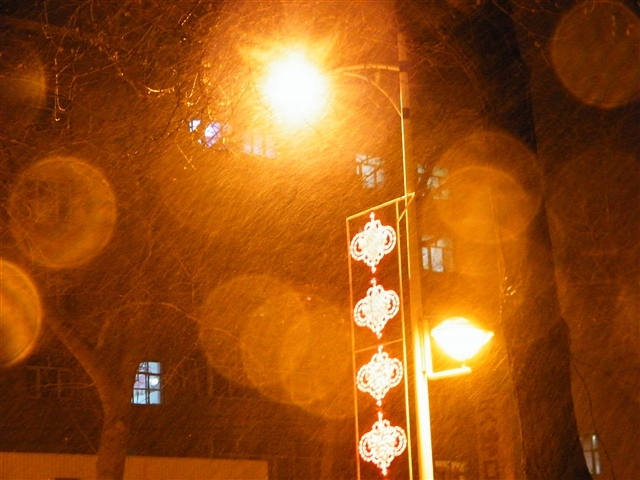 3rd snow in lunar 2010.^last night left office till 7pm, after tried to video chat with baby&his mom. their video stream strangely don't appear in my browser while they saw my stream&their own working. remote desk also lagging to appear, all reminded me of cops' breaking&showily espionage. dined in a special meal restaurant nearby my office, babbled about their management feature. a young girl and her boyfriend there before my visit, let me rightly smell the wonder of youth. in dorm, surfed via wap on cellphone lately after 10:30pm. China surveillance again blocked some mobile sites with which i can access my blog, which mostly deadly blocked in China, like wordpress, blogspot, posterous, tumblr, etc. this morning got up at 7:03am, washed socks, then head to office. shot some photos on way for the saint moment of snowing. 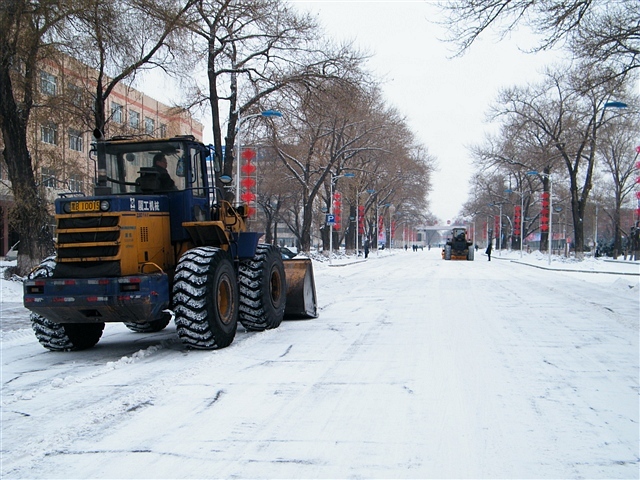 Its likely the 3rd snow in lunar 2010 new year. God, i know u r killing dirt around me, i feel ur bliss on me. thanks for ur gift i felt so bright&holy. God, bring my girl zhou closer to me after all killings from u over dirt. bring me happy of warmth of sunshine after the cleanse. in office posting snow photos with a blog entry most of the morning. at noon buzzed baby's mom, exchanged view on inflation of living cost, ie. fast food, the down dorms' canteen. later cared download, all time in heavy biting. left office after 2pm. 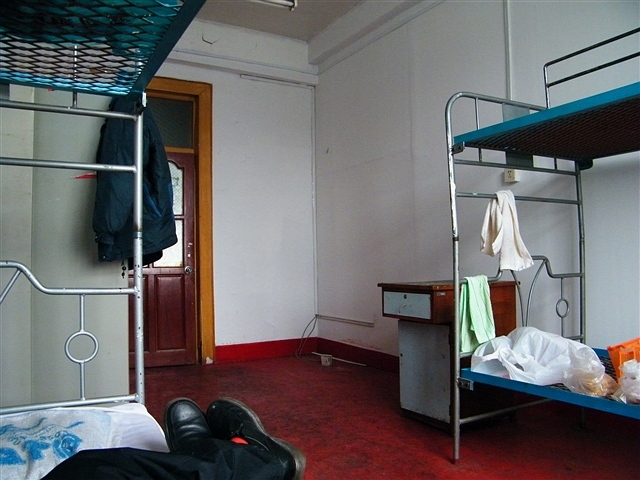 the dorm porter informed me to change to a room on 3rd floor. moved my stuff soon, then dozed awhile in the new lodge. left dorm on 3:33pm&joined office. the 2 evils in office stayed near 6pm. i dealt routine stuff, left near 7pm. in the restaurant, a family dined there with all seniors&kids. a likely couple of the family arrived later, the female's tall&fit attracted me. in dorm read my posts i prepared via proxy&copied onto my cellphone wireless, now that China mobile network had blocked direct access. cracked seeds then soon slept. changing my room likely again a plot of dog: even the toal used rooms in dorm 3 no more than 7 or 9, but all my 3 neighbor rooms occupied. and the wall again like my first room in dorm 1st back to 2006 when i left my baby's mom's house first time to pursue my new marriage, extreme thin! likely just some paper frame separate 2 rooms. in the night when i buzzed my baby son, i can sense echo passed through the thin wall and the listening ears all around. God, i don't fear hunting of cheap souls nor desperate gay, but i do fed up with the wild dogs&dirty thefts. ur glory forever untouchable, God, i singing in ur name, singing for new level of endurance in ur Bliss!